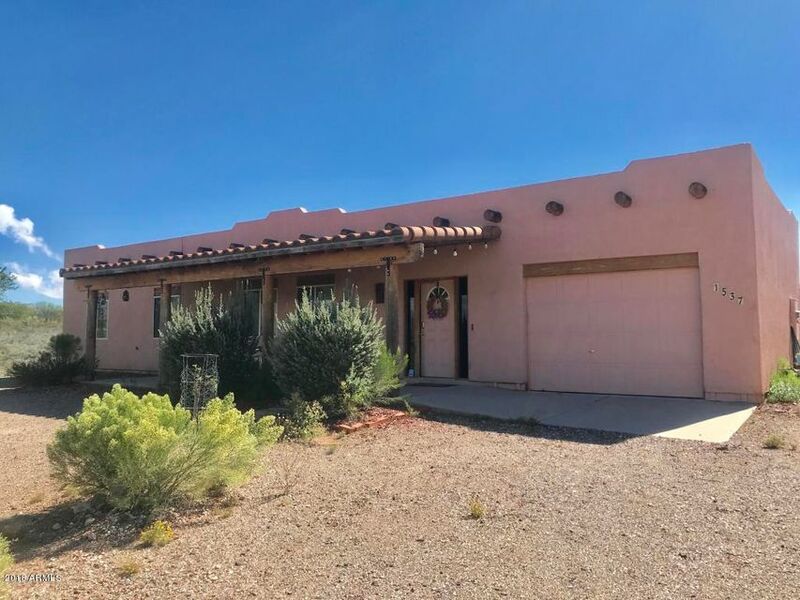 All Tombstone homes currently listed for sale in Tombstone as of 04/23/2019 are shown below. You can change the search criteria at any time by pressing the 'Change Search' button below. If you have any questions or you would like more information about any Tombstone homes for sale or other Tombstone real estate, please contact us and one of our knowledgeable Tombstone REALTORS® would be pleased to assist you. "Wonderful CUSTOM SANTA FE HOME! 3bd 2ba perfectly located on a .33AC lot. Popular open floor plan with a huge island kitchen,CUSTOM PINE WOOD cabinets, tons of storage & counter space for the CULINARY ENTHUSIAST. Great for entertaining guests. Tile flooring in all the right places.Vega (wood beam) accents inside and out. Spacious guest bedrooms and a large master bedroom suite. Situated on this high elevation lot to enjoy THE BIG SKIESEXTRAORDINARY MOUNTAIN VIEWS. Own your piece of the WILD WILD"